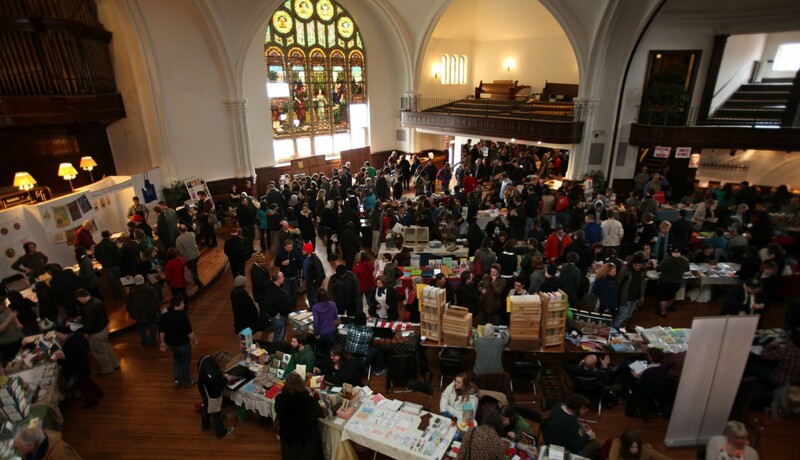 When Karpeles Manuscript Library Museum, 453 Porter Ave., hosts the 10th annual Buffalo Small Press Book Fair on April 9 and 10, it also will be the final one. The event consists of two days in which vendors from small-press publishers and independently owned art businesses hope to sell their latest merchandise. It was started in 2006 by Kevin Thurston and Chris Fritton while they were undergraduates at the University at Buffalo. Thurston, active in small-press poetry, and Fritton, interested in small-press DIY publishing as well as correspondence art, thought it would be a neat idea to hold a book fair promoting small presses. After 10 years, both men said they have been moving in different directions for a while, so it makes sense to end it now. Since its inception, Buffalo Small Press Book Fair was a success, garnering word-of-mouth business throughout the past decade. Marketed toward companies in the Great Lakes area, the event gained interest from businesses as far as Washington, D.C., and British Columbia. A few of these presses that have consistently been a part of the Small Press Book Fair are Rust Belt Books, Talking Leaves, BLOOF (New Jersey), AWP (Los Angeles) and Edge (Washington, D.C.). This year, authors and artists are expected from California, Milwaukee, Pittsburgh, Baltimore, New York City and Washington, D.C. The event includes open readings, film screenings, music and several workshops in the art of bookmaking, such as comics and scrapbooking, as well as a pop quiz on copyright law. The full schedule is at buffalosmallpress.org. Hours are noon to 6 p.m. April 9 and 11 a.m. to 5 p.m. April 10. Admission is free.